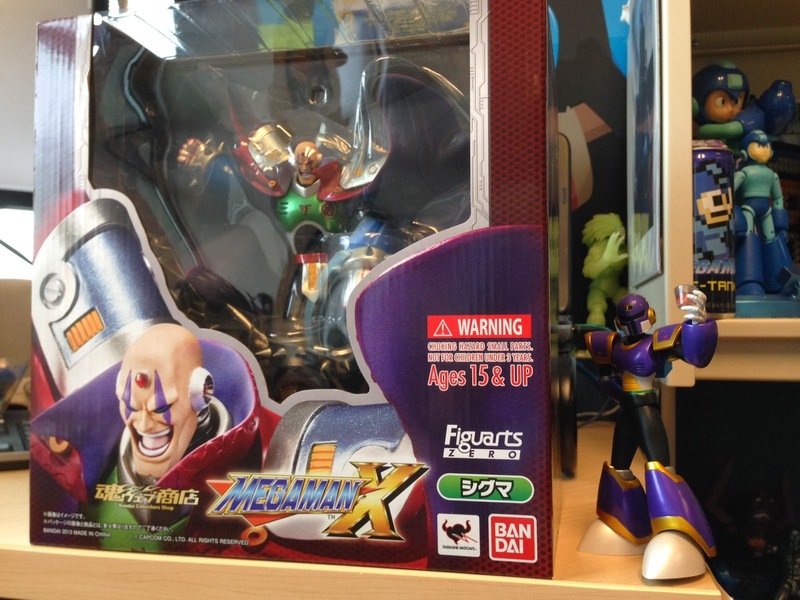 The time has come for what's currently Capcom's newest Mega Man game to get another update. 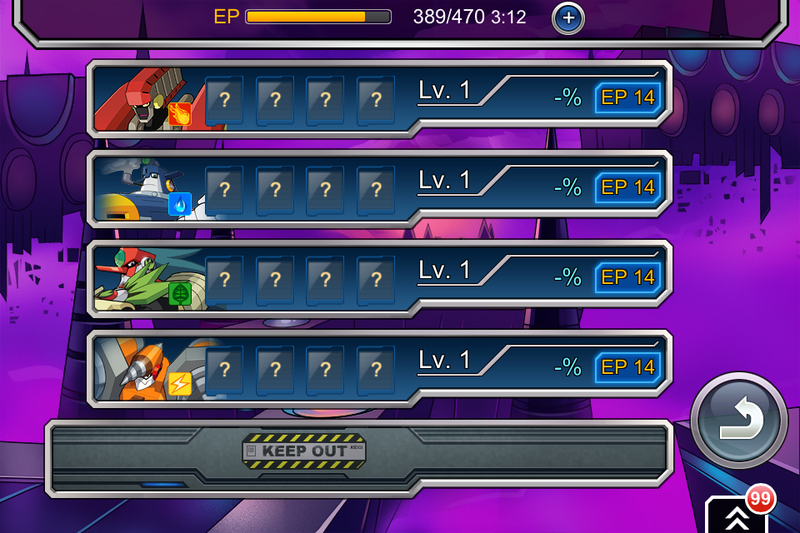 The latest Rockman Xover update brings us World 11, which is themed after Mega Man Battle Network 6. Here, players can take on Blast Man.EXE, Dive Man.EXE, Tengu Man.EXE, and Ground Man.EXE. Furthermore, OVER-1 can acquire a new armor, OVER-D. OVER-D is based on Duo.EXE, though it retains elements from his classic series iteration. Unfortunately, its stats pale in comparison previous armors. It's so bad, in fact, some are writing it off as a joke. Hit the break for new artwork and screens. Mega Man Legends 3's Aero is headed to Sound Rangers next week. According to the game's official website, she will be distributed to all players on Tuesday, March 4th in honor of Sound Rangers' sixth-month anniversary. No telling how long the event will last, though, so log in as soon as you can. That's pretty much all there is to say on this one. I guess it's good to see the character not go completely to waste? 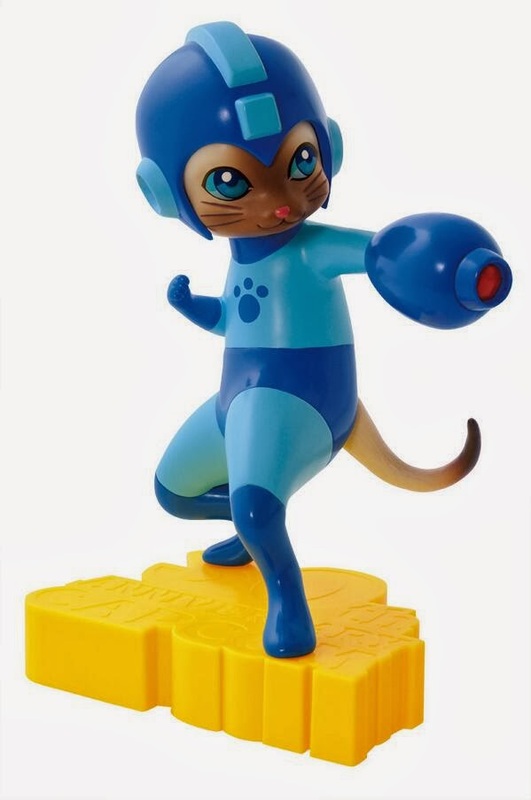 In celebration of Capcom’s 30th anniversary, the iconic Monster Hunter Felyne will soon appear as a figure dressed as Mega Man. Before then, though, manufacturer Ichiban Kuji invites fans to get a peek behind the curtain where the figure's nine month design process is laid bare. From concept art to prototype molds, this report details all there is to know about the cat's conception. We almost had a helmet with cat ears, by the way. In the end, however, it looked a little too much like Tango. See it for yourself in the above link! Starting February 21st, Sound Rangers players can log in for the chance to win a handful of new playable Capcom characters. 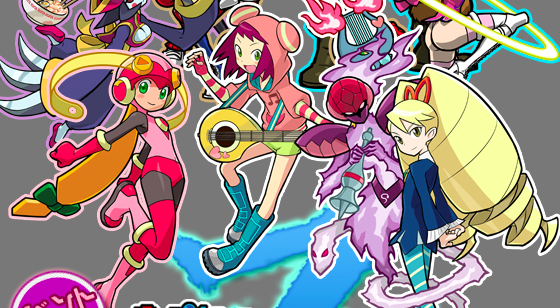 Among familiar faces, Mega Man Battle Network's Roll.EXE and Mega Man Star Force's Sonia Strumm and Luna Platz have been confirmed to appear. These three characters can only be obtained via "gacha", a feature that allows you to trade your in-game currency for random characters. Additionally, everyone who logs in to the game between the 21st and the 24th gets a "type B" Servbot. No currency needed; this one's on the house or so they say. Mega Man co-creator and ex-Capcom man Keiji Inafune is bound for this year's Game Developers Conference in San Francisco, California on March 19th. Inafune, along with 8-4 Executive Director Mark MacDonald, will be hosting their own panel titled "Meanwhile, In Japan" to talk about Mighty No. 9 and crowdfunding. Other topics of interest include trends in the Japanese industry, how Western and Japanese developers can work together, and putting together a successful crowdfunding campaign. More information can be found at the official GDC schedule here. 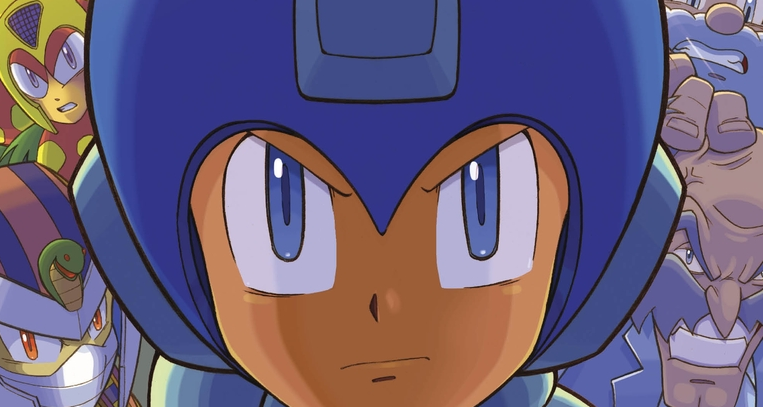 We live in a world where, sadly, there is no such thing as a Rockman Gigamix anime. If there was one however, it would look a lot like the above. Hitoshi Ariga, the man behind Gigamix, gave his blessing to this fan-made mock anime opening, largely influenced by a similar scene from Namco X Capcom. If your heart can take it, it's well worth the watch. Pure magnificence. Thanks for the tips, Eric and Shin! We saw some screens of this early Mighty No. 9 build a little while back, but now you can actually see it in action. The above short clip comes from Keiji Inafune's D.I.C.E. 2014 expo presentation. It's looking pretty spiffy so far. Nothing is set in stone, though; these assets and mechanics are subject to change over the course of development. During his Mighty No. 9 D.I.C.E Summit 2014 talk, Keiji Inafune pulled the wraps off Mighty No. 7, the last of Dr. White's nine 'Mighty' robots. Number 7 is a stealthy, fast-moving ninja type character equipped with sharp, scissor-inspired twin blades. 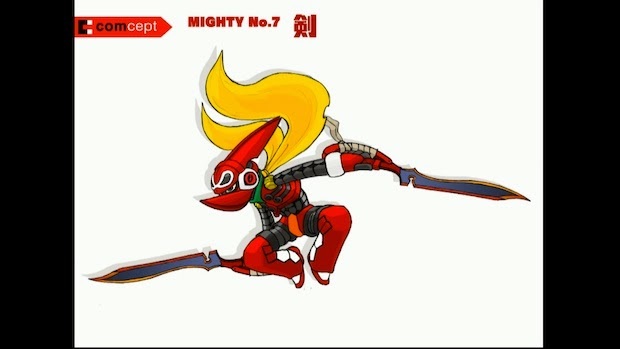 According to Inafune, the protagonist from his mobile game The Island of Dr. Momo -- a young woman with scissors attached to her head -- was the primary source of inspiration for Number 7. An initial concept of Number 7 with a scissors attachment was produced, but it didn't work out how Inafune would have liked. So it was back to the drawing board and a few more tries later, the final design (above) was hammered out. You can head over to Destructoid for more concept art. And with that, all nine primary Mighty No. 9 bosses have been revealed! The Free Comic Book Day website has posted a sneak peek of this year's Archie Comics "flip-book" for Free Comic Book Day, which features excerpts from both Sonic the Hedgehog and Mega Man X. The preview, however, only covers two pages from Mega Man X. It's short but sweet; a juciy teaser of what's to come. Free Comic Book Day kicks off on Saturday, May 3rd. To find a participating retailer near you, call 1-888-comicbook or visit ComicShopLocator.com. You can also check out the full batch of titles and goodies up for grabs, as well as which shops are participating, at FreeComicBookDay.com. Many thanks to NEO Ness for the tip! Tim Carter, writer and producer at Contradiction Films (Mortal Kombat: Legacy, Sleeping Dogs), has revealed that he is developing a live action adaptation of Mighty No. 9. "We are building the story right now,” Carter said about the project. 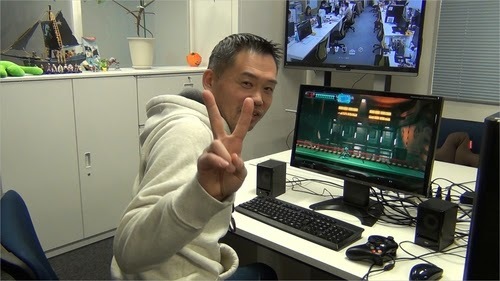 “Inafune-san created [Mega Man], and he has now created Mighty Number 9. We don’t have the rights to Mega Man, obviously, but we are working with him on a live action adaptation of it.” He said of Inafune, “I was a little apprehensive about it at first until I got his notes, and thought “Dude, you should be working at Pixar!”"
It should be interesting to see how this pans out. 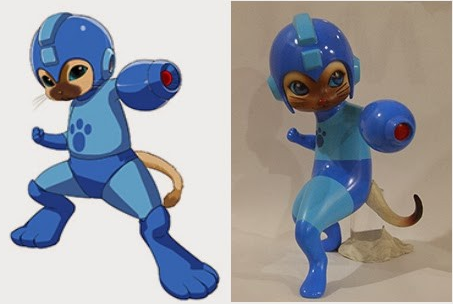 Same with any hypothetical Mega Man adaptation, I sort of feel this might work better as an animated feature. But who knows? Carter could make this work. I suppose we'll just have to wait and find out. By way of Destructoid, Archie Comics have officially confirmed Mega Man and Mega Man X are teaming up for a four-part storyline titled "Dawn of X." The event kicks off with issue #37. 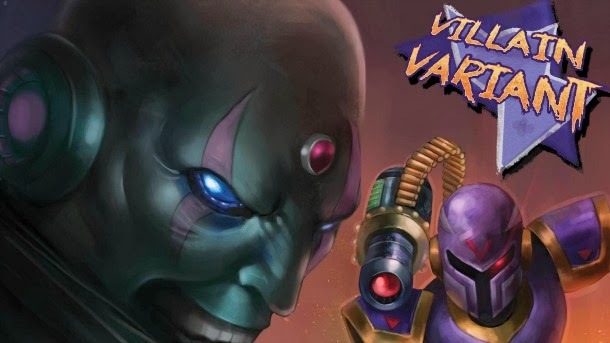 According to editor Paul Kaminski and Ian Flynn, the crossover won't provide the end-all, be-all answer to the missing Classic/X link; rather, they hope to provide fans with "clever storytelling tools to link the franchises in a way that doesn't fill any gaps best left to the fan's imagination." More details on the project are expected to arrive shortly. For now, you can head over to Destructoid and read up on a few additional words from Kaminski and Flynn. Check out the covers while you're there, too. Despite having a long-distance release date of September 23, 2014, the eight Mega Man trade paperback has already been listed on Amazon. Entitled "Redemption", this 104-page book will comprise of issues 33 through 36. Pending the official solicitation, however, we can't say for sure if the back-up Mega Man X stories will be included or given their own trade paperbacks. Personally speaking, I'd prefer the former. We'll keep an ear out. Anyway, If you've been collecting the TPBs I suppose it couldn't hurt to pre-order early. It will run you $10.97.